Very sturdy 2x4/ 4x4 cedar frame. The cedar shelves are slatted to allow both debris to rinse through and air to circulate around your plants. 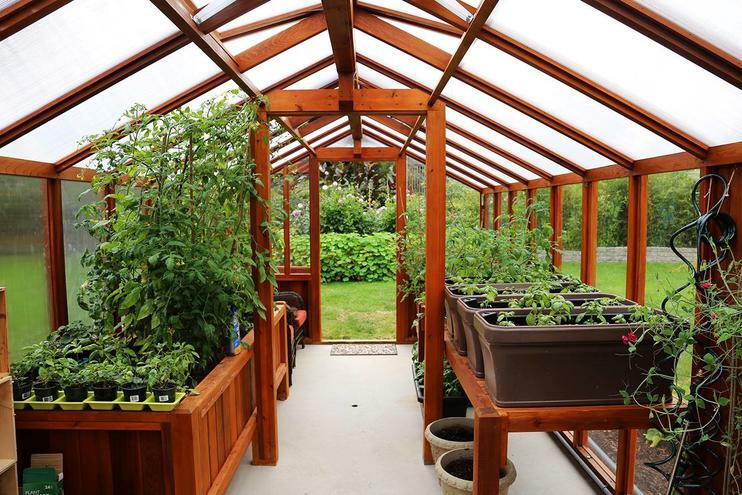 Store your gardening articles beneath the benches. U-shaped or L-shaped benches are popular. (8x10 kit is pictured). 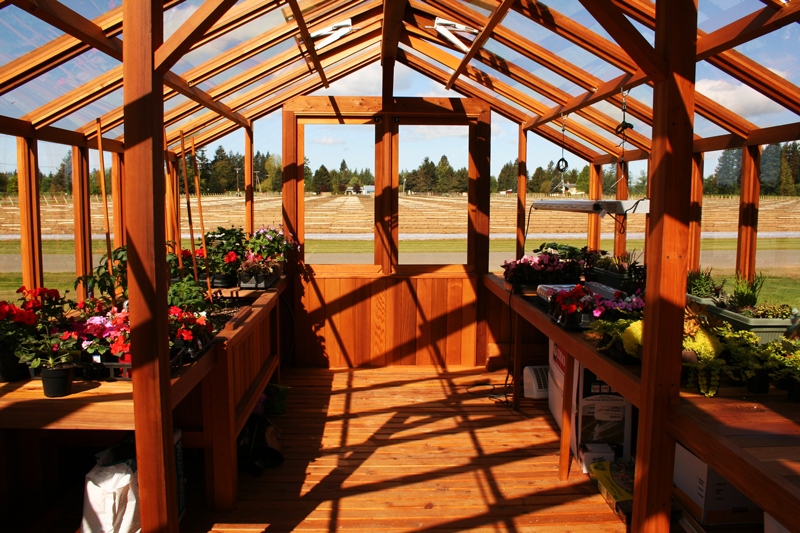 Hanging baskets can be hung in any part of our sturdy roof framing. 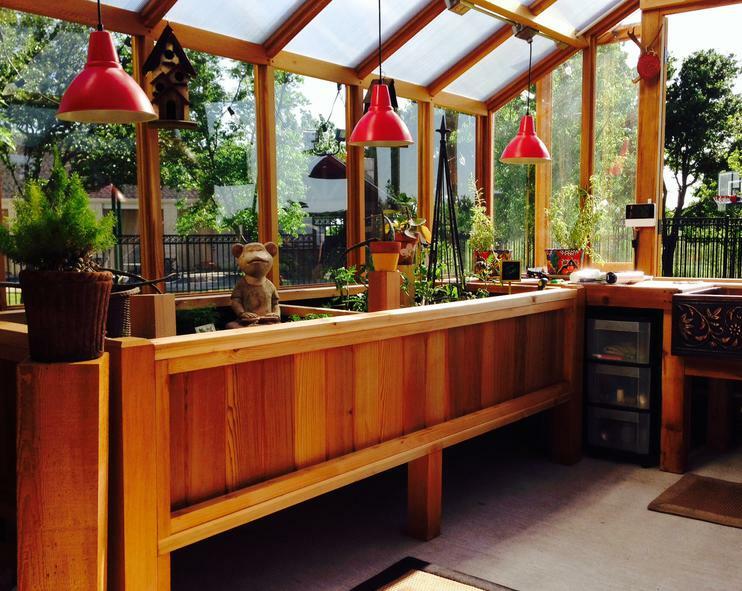 Our very beautiful Western Red Cedar benches are resistant to decay and insects. They are designed to sit flush with the 30"cedar basewalls creating a smooth, finished look. 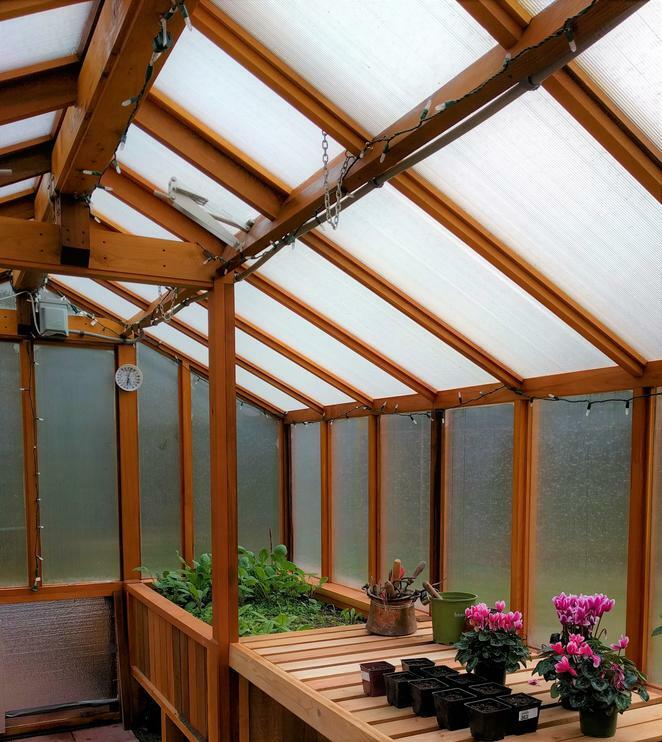 We manufacture beautiful sturdy Western Red Cedar greenhouse benches. We can design benches to any length or style. 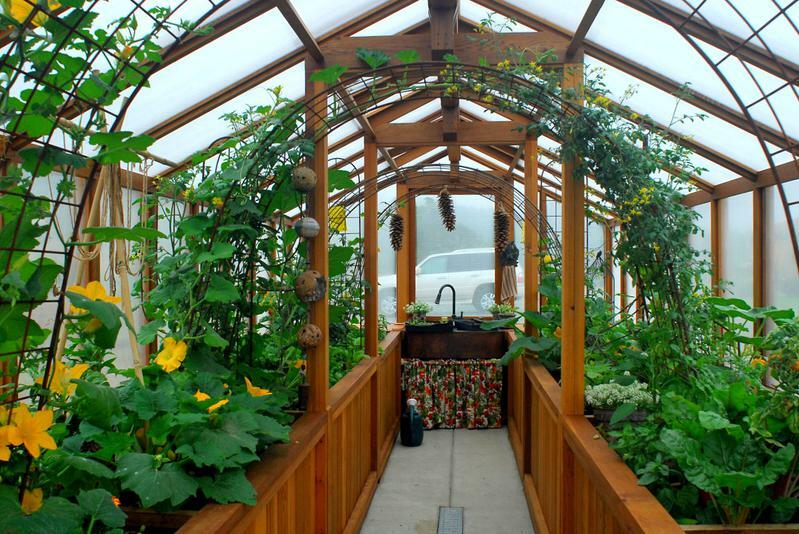 ".I am experimenting...tomato plants in pots vs tomato plants in the soil bench...so far the soil bench is winning...hands down!!!" Jan... Alabama"
12' x 26' kit with U-shaped design and open area for taller plants, chairs and table at front. 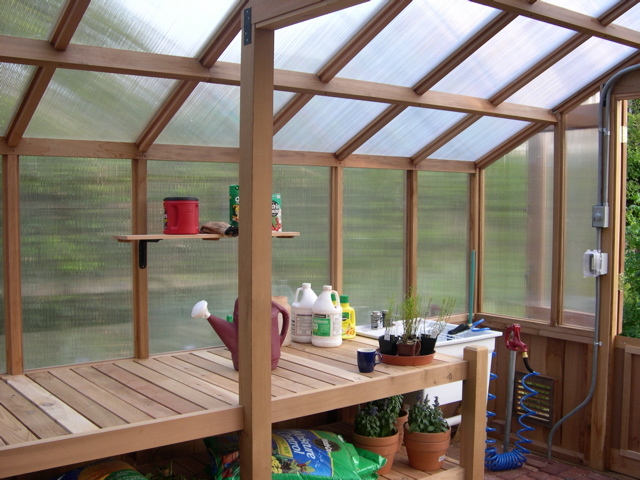 U shaped cedar benches in our 8' x 10' Free Standing greenhouse kit. Some clients prefer double shelved benches. 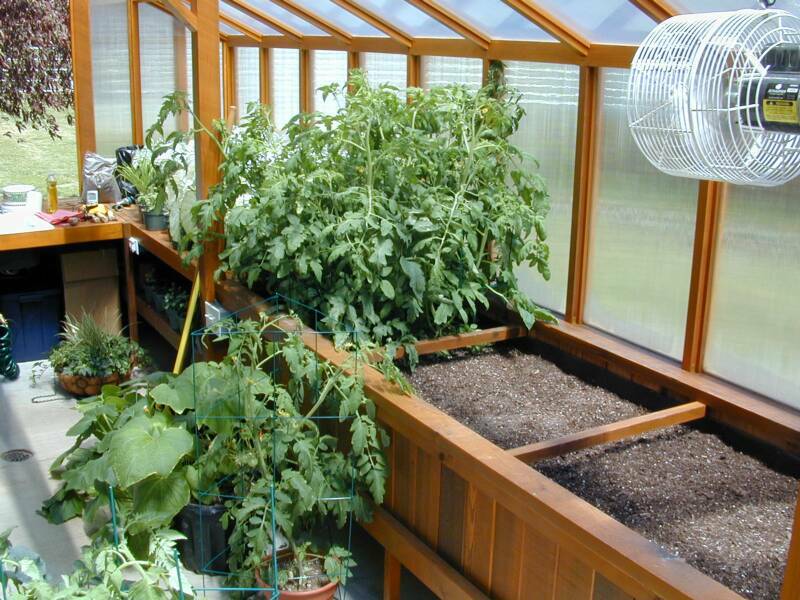 Slats are removable if you wish to store larger plants during the winter months. 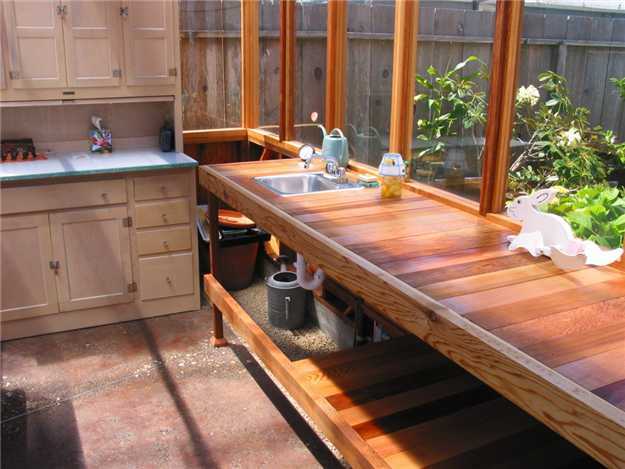 Double benches with 4' open area at front for utility sink and watering hose. Sturdy 4x4 bench posts included. 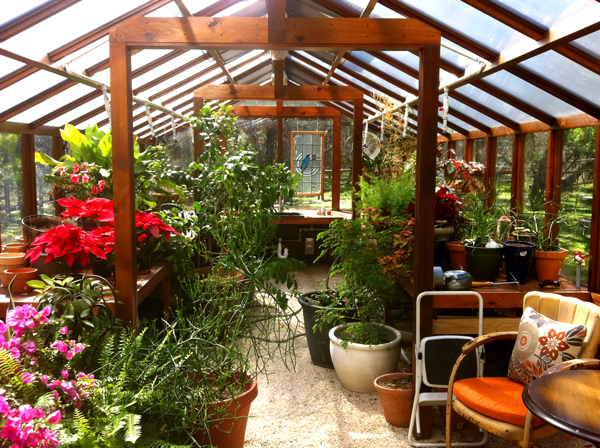 Many clients have indoor gardens for growing vegetables. Our 30" sturdy Western Red Cedar soil benches are constructed of 2x4 & 4x4 framing, cedar tongue & groove sidewalls. We offer either 18" or 30" deep soil benches. 30" deep soil benches for deep rooted crops. 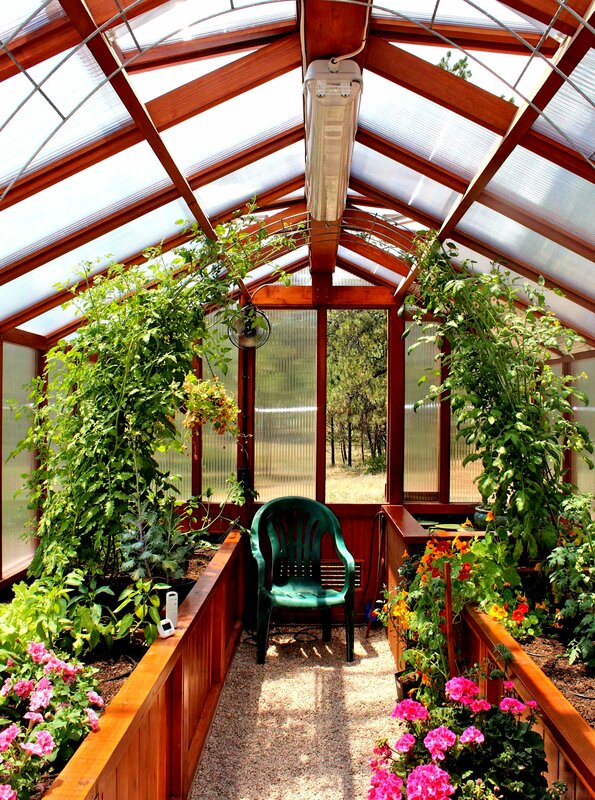 Click on photo indoor garden photos. Very sturdy design with bracing allow for weight of heavy soil. 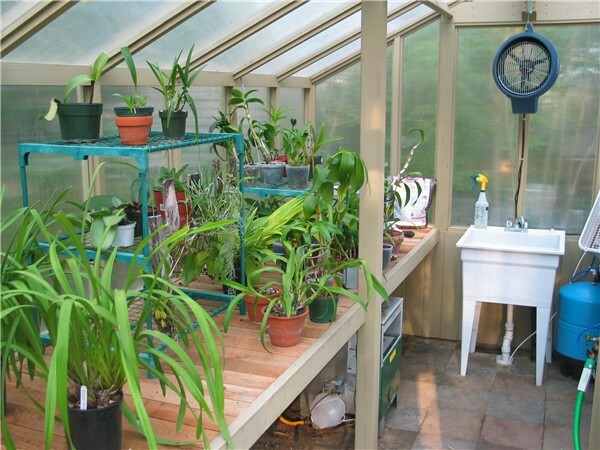 Pictured is a popular combination of single shelf and 18" deep soil benches. This is a 10'x 14' Freestanding unit. 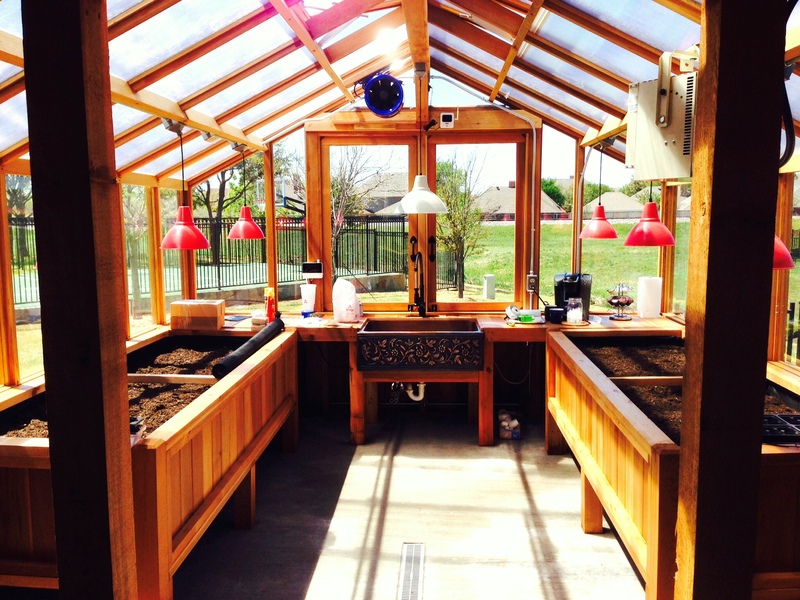 18" deep x 36" wide soil benches and single self 36" wide benches on glass to ground side- with plants beneath.